As many homeowners have learned the hard way, homeowners insurance policies don't cover flood damage. The damage caused by rising water, whether from a hurricane storm surge or an overflowing creek, is covered by flood insurance, which in recent years has become increasingly expensive. 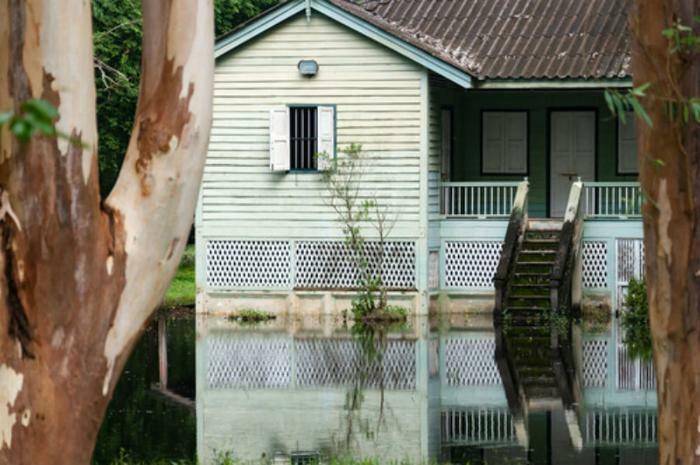 The National Flood Insurance Program (NFIP), administered by FEMA, is supposed to make flood insurance more affordable for homeowners, but the program is scheduled to expire at the end of September. The National Association of Realtors (NAR) worries that there will be nothing to replace it. NAR President William Brown says the elimination of NFIP would not only pose financial risks to homeowners living on or near bodies of water, it would bring sales of those properties to a standstill. "When the NFIP expired in 2010, over 1,300 home sales were disrupted every day as a result," Brown said. "That's over 40,000 every month." If property is located in a 100-year floodplain, mortgage lenders require the homeowner to have flood insurance. So if there is no NFIP, Brown says buyers simply won't be able to get a mortgage. A rash of hurricanes in the early 2000s took a massive toll on the flood insurance program. Even with the program, homeowners have seen premiums surge. Brown says the problem doesn't just affect coastal communities. "Policyholders in over 22,000 communities across the country depend on the NFIP to protect homes and businesses from torrential rain, swollen rivers and lakes, snowmelt, failing infrastructure, as well as storm surges and hurricanes," he said. "When that lifeline is cut off, the NFIP can't issue new policies or renew existing residential or commercial policies that expire. That means current home and business owners may find their most important asset unprotected." And even though last year was a relatively calm one for hurricanes, it was the third largest in claims payments in the history of the flood insurance program, costing the goverment more than $4 billion. There were five billion dollar floods last year, with four of them occurring inland, away from coastal areas.